Despite dire prognoses that perfumery is dying and that “there is nothing good anymore”, this year brought a number of fragrances I was happy to discover, namely, Azzedine Alaia, Galop d’Hermès and L‘Envol de Cartier. I point out these three perfumes in particular, because I not only liked them, I wore them so much that they now can be called staples. That all three are easily available from the department store is a bonus point. I’ve reviewed Alaia and Galop here, while my discussion of L’Envol de Cartier appears in my FT column, Fragrance Inspired by Flight. “The idea of a fragrance inspired by flight has two iconic precedents, both from the 1930s. Caron’s marvellous orange chypre En Avion was dedicated to the first women pilots such as Hélène Boucher and Amelia Earhart, while Guerlain’s Vol de Nuit paid homage to the writer and pioneering aviator Antoine de Saint-Exupéry. These are fitting associations because flight is key to understanding fragrance – perfume takes off in the air the moment the liquid touches the skin. Perfumers control the effects of their compositions by using materials of different volatilities – citrus and green notes soar in an instant; musks and woods are slower to become airborne. One observation I want to add to my review is that while L’Envol was designed as a masculine fragrance, it can be shared. I like the bracing opening, while the warm drydown of woods and honey is an elegant–and lingering–finish. Nick: What surprises me in L’Envol is that the otherwise hefty notes of guaiac and treacly honey, it manages to feel transparent, becoming like a second skin. Victoria: That Lilac thing was indeed odd. spe: Your comments are inspiring me to open a sealed bottle of unreformulated En Avion this Christmas. The Eau de Cartier Rose is on my list to try today and I’m wondering how the rose eau and L’Envol might do together….and I need to give Gallup a serious try on the wrist. Vol de Nuit must have notes I’m anosmic to. I smell a blurry, flat nothing, so I know something is off with my sniffer! Cornelia Blimber: Hi Spe! what a pity that your Nose ( never call my beloved Nose a sniffer…) does not grasp Vol de Nuit! such a beautiful perfume. Before the reformulation it was my absolute favourite, and I wear the current one with pleasure. Sometimes I combine it with La Violette (Goutal). Cornelia Blimber: Well, as long as nobody complains…go on! I think you smell wonderful. I have also many favourites among the aldehydes and the green chypres and the big drama’s! Only Portrait of a Lady is too strong, too exaggerated in my view. Aldehydes like Joy, No5, Le Dix, Rive Gauche, Arpège, Baghari etc. etc. and green chypres like Y, No 19, Scherrer, Sous le Vent, Futur, are so fascinating. Spray on, dear Spe, spray on! spe: Favorite aldehyde is No. 22. Favorite green floral is No. 19 EDT and favorite chypre is a toss up between Eau de Soir and Caleche. One aldehyde that I’ve always liked is Infini, but not in parfum – too smoky on me. Cornelia Blimber: You smell gordeous, for sure! no22 is so beautiful. And you are right, Caleche is still one of the best, even after reformulation. I have the edt and one day will buy the pure perfume. I encountered this one I think a couple of months ago, when Nordstrom opened in Canada. 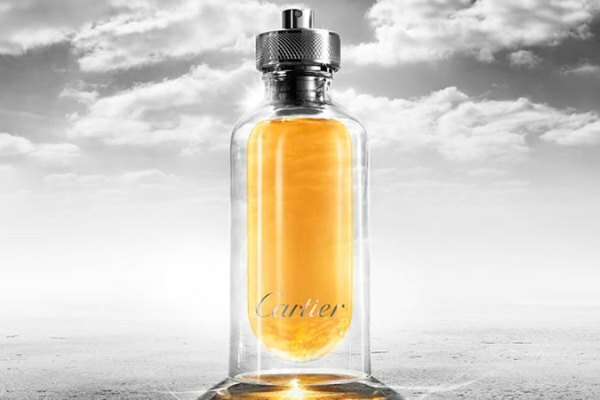 I was browsing through their fragrance section, had not even heard Cartier launching a new one, but decided to sniff it. I liked it right away! Then a few weeks later I started seeing reviews of it online. JulienFromDijon: I dislike L’envol as much as I love Mathilde Laurent. Blurred vanilla on a hazy monotonic musk base. There’s no evolution to check when a perfume is so soft spoken, and I’m bored. A very underwhelmed “L’heure perdue”, maybe? It makes it worse that vanilla and musk are two overdone idea in perfumery, even with gaiac wood. Some have quote the “anosmic on musk” topic, and I shall go deeper on this trail. For now, I keep on my “the emperor is naked” blurt. I tried it many times, even an overspraying try, but the perfume gained no depth or 3D effect from it. So I gave up. Sofie: Hmm, sounds intriguing! Let’s see if I can find a tester to sniff! !